Fill out our simple form and get quotes from local Video Game Party Suppliers. Whatever the occasion, video game parties can be a fun, engaging and inclusive experience. Rain or shine, you can step into the gaming sphere and control your own destiny. 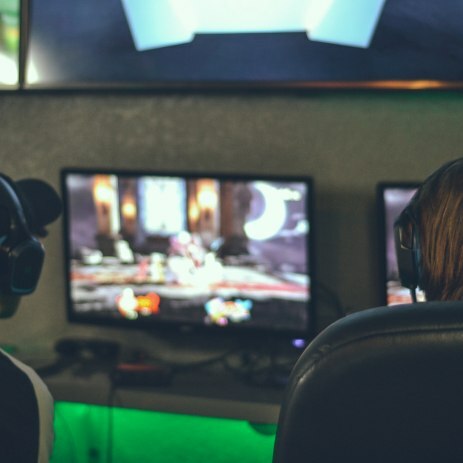 There are so many different games to suit your party needs, whether it’s testing your driving skills on an F1 track or teaming up to slay a fantastical beast, there’s something in it for everyone with video game parties. If it’s a big party, create two teams and hold a competition. Or everyone can work together and complete an adventure set before them. But it’s not all fights, races, and adventures with video game parties. Drop the controller, pick up the microphone, and sing your hearts out to the classic hits of ABBA or High School Musical - whatever the audience demands! Book the video game party that’s right for you simply by filling out a request form. Virtual Reality Roller Coaster Hire suitable for children aged 8 plus and adults! Video game parties are usually held in a converted truck, filled with comfy sofas, cool lighting and a ton of video games. This compact and mobile machine can deliver a video game party right to your doorstep, so no need to worry about booking a venue! It doesn’t have to be solely a video game birthday party, it can also make a nice addition to lots of events. If it’s a festival filled with music and live entertainment, then a video game area will act a perfect place to chill out and relax, without compromising on any of the fun. To hear from video game party suppliers simply fill in a request form.